Installation was very easy. We downloaded and installed the software within a matter of minutes. After the installation completes you are guided through creating your first backup job. Running the first backup was quick and easy. It ran smoothly without interruption. Depending on the size of your backup it can take a while. It only took two to three hours to back up around 2GB of data. We limited our file selection to all files less than 30MB in size. The advanced scheduler works great. It has quite a few options allowing you to select individual days of the week as well as setting custom start and stop times. Here you can select the folders and files you want to back up. There are two main options backup the Documents folder (selected by default) or manually select your files and folders. When you manually select your files, a new window dialog box opens and you can select which files are available for backup. 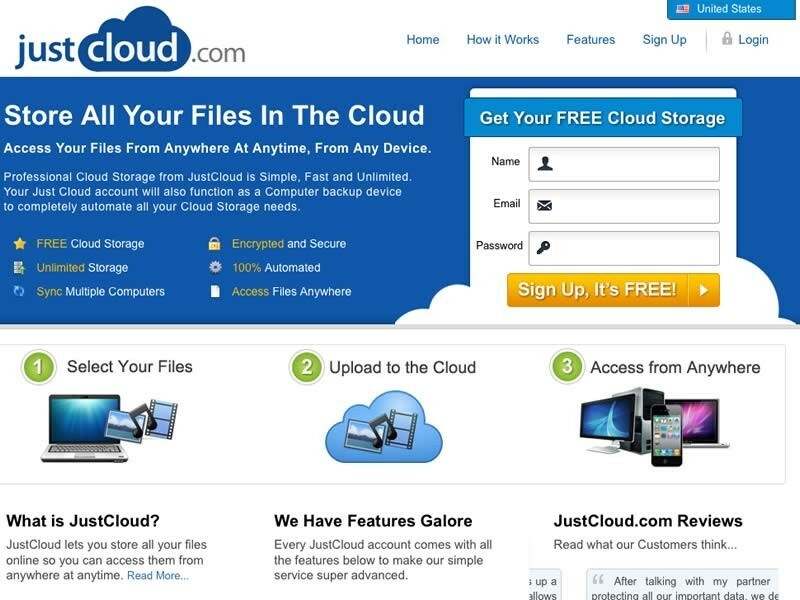 JustCloud can backup most any file on your network, however you may need to purchase an addons to accomplish this. Addons include Network Drive Support, the ability to increase file size limit from 1GB to 5GB, and automatically backup all videos. 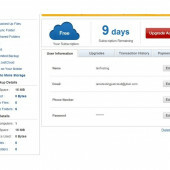 JustCloud gives you two ways to limit your bandwidth usage. First, you can set a daily or monthly limit. Secondly, you can limit the upload or download rate (Kb/s). The daily/monthly limits are helpful if you ISP tracks and limits how much data you can transfer. Our ISP does not track this so we did not enable this feature, while others may find it super helpful. We found the second method of limiting bandwidth usage as being very useful. It can be very easy to slow down your connection when a backup job is running, so we set our connection speed limit to 100KB/s. By setting this limit we ensure that JustCloud does not interfere with any of the other programs. JustCloud gives you the ability to limit the files for backup by file type. This is helpful if you have several very large file types that you do not want backed up such as ISO or disk images. Since we wanted to backup all files, we did not have much use for this section. It should be noted that JustCloud populates this with several file types, it is worth reading the list to ensure that you are not excluding any files types that you want backed up. Here you can select HTTP or HTTPS for the connection security. HTTPS adds an extra layer of security when connecting the the website. Note that HTTPS is always used when transferring your file data. This option is very helpful to those with a laptop. There is an option that pauses the backup while running on a battery. The other option helps manage CPU usage. It will only backup files if the computer has been idle for a certain amount of time. We found it to be one of the best mobile backup apps out there. The design is clean and responsive. You can backup your camera roll automatically then share these pictures using the app. The app can start backups on other devices and see files that have already been backed up. It's available for iPad, iPhone, Android, Blackberry, Windows Surface, and Kindle Fire. We found the JustCloud software to be the easiest way to restore files. In the software there is a drop down menu to select the device you want to restore files from. After choosing your device the folders will populate on the left and you can navigate the folders. Either select the files or a whole folder and click "Restore". It's straightforward and easy to navigate. Mobile restore is as you would expect. There is no way you can restore files to your phone. You can only save images and PDF's. Otherwise, you can open files and send them to yourself via email. Restoring through the web is not ideal. There is no way to download whole folders or to make a large selection for download. You can retrieve any backed up file, but they must be downloaded one at a time. If you can, use the software to do any serious restorations. That being said, if you are in a pinch, it is nice to know that files can be restored via the website. It's pretty straightforward. When you install JustCloud a 1GB Sync Folder is created. Files in this folder can by synced to any computer or phone that has the JustCloud software or app installed. The sync folder does not sync when a file is added. Instead it follows your backup schedule or you can manually backup for changes to be synced. Sharing is excellent on mobile and web apps but does not exist on the desktop software. Login to their website and mouse over a file or folder to share it. 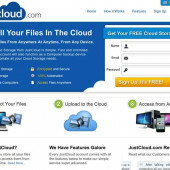 People must have a JustCloud account to access the files. The sharing options are sending via email, uploading to Facebook, and posting to twitter. There is no way to do this from the software. Using the "Help Center" and submitting a ticket is the best way to get results. They do not have a phone number or chat support. You can buy Priority Support addon to ensure quick response. JustCloud has a well made product, it's very stable and easy to navigate. The smartphone apps are very clean and well designed (we used the iPhone app). Getting your files backed up is very simple with all of the options that help you filter out the unnecessary files. Restoring files is great if you can use the software, the mobile apps and website won't help you restore massive amounts of data (at least not quickly). Overall we are satisfied with the performance of JustCloud. Some could find themselves in need of phone support or get frustrated with the addons for purchase, however, these are non-issues with the rest of the application having a clean, well-designed interface, easy to use tools, and reliable. 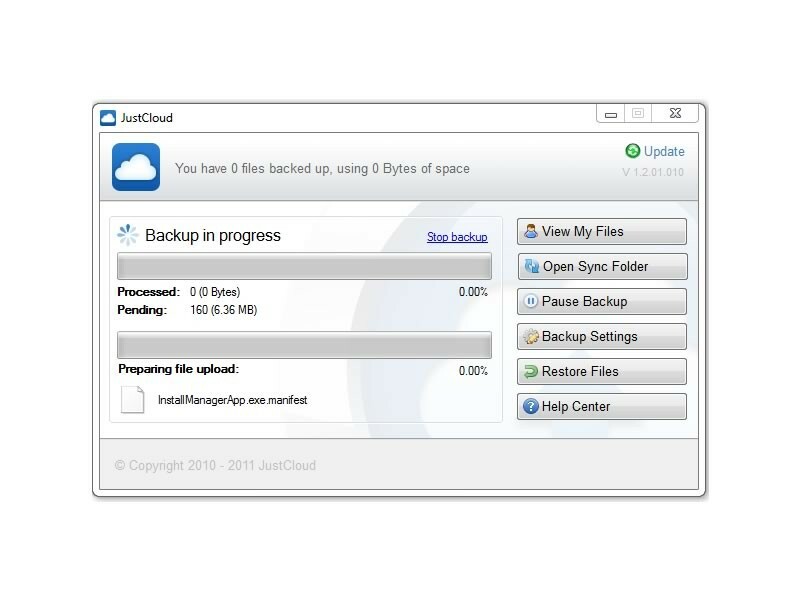 JustCloud is a solid choice for unlimited online backup. They do a great job of backing up your files quickly and securely. The software is easy to use, works on Mac and Windows, and has a free mobile app for iOS and Android. In addition to being an online backup service they offer a file syncing folder which allows you to share files with all of your devices (computers / tablets / mobile devices). JustCloud also provides the ability to share files and folder with others. In JustCloud’s mobile and web app’s customers can use the sharing tool to send files via Email, post to Facebook and tweet on Twitter. The only downsides are a small amount of space in your sync folder and no phone support. Extra sync space is available as account addon. How easy was the software to configure and run your first backup? How many helpful tools are available? How much space do you get for your money? How helpful and accessible is customer support? How secure do you feel your data is? How long have you used this backup company? I think this is an all round product which should be used by everybody. Backing up is automatic and scheduled, so all your stuff can be safe without having to think about it. I can't imagine I'll ever need to use another backup system, its quick, easy and even the little things you don't usually notice are good like technical and user support. Great price too. I have an unlimited account, and I need to backup about 2TB. First I paid the $10 upgrade, which got me an upload speed of about 2.2Mb/sec which isn't bad, but I would have expected faster. My backup ran for about a month reliably, then just when I got to 1TB of storage, the backup program stopped and wouldn't upload any more files. I asked support, and they told me that my account had been suspended for using too much bandwidth, and wouldn't give me a timeframe for lifting the suspension. So I have unlimited storage, but I'm not allowed the bandwidth to actually use the storage.. So the unlimited storage option is actually 1TB only. Other that this annoyance, I actually liked the service . Unlimited Storage = 1TB.. No unlimited option. It should also be quite future proof since they are using Amazon for the cloud-stuff. Also very nice that you can use multiple devices to check your files and synch. All in all, I definitely recommend them! JustCloud is a new syncing and online cloud storage company that specializes in keeping multiple computers up to date at the same time. JustCloud is a professional cloud storage solution designed to make syncing files between computers easy. They are owned by parent company Just Develop It which has several online backup brands. JustCloud uses one account to sync multiple computers as well as backup computers automatically. Features: Secure Backup, Share Files and Folders, File Versioning, Sync Multiple Computers, Works with Windows and more. JustCloud was started in 2010 by a company called Just Develop it. They have a number of products like JustCloud that they build and sell. They have an office in Novi, Michigan and Employ over 25 staff members.